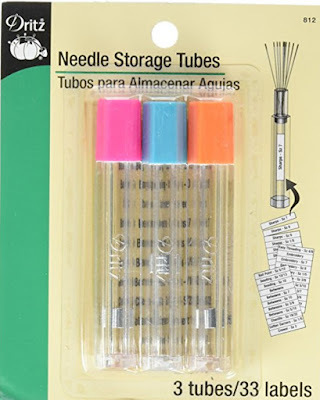 As nice as the Prym needle twist tubes are, I thought they were a bit pricey, so began a search online and found a packet of 3 Dritz Needle Storage Tubes for a very reasonable price. They are perfect. There are little pre-printed labels you can use to identify the needles in each case, and blanks to write your own labels if desired. The tubes are not as highly engineered as the Prym holders, but work very similarly. 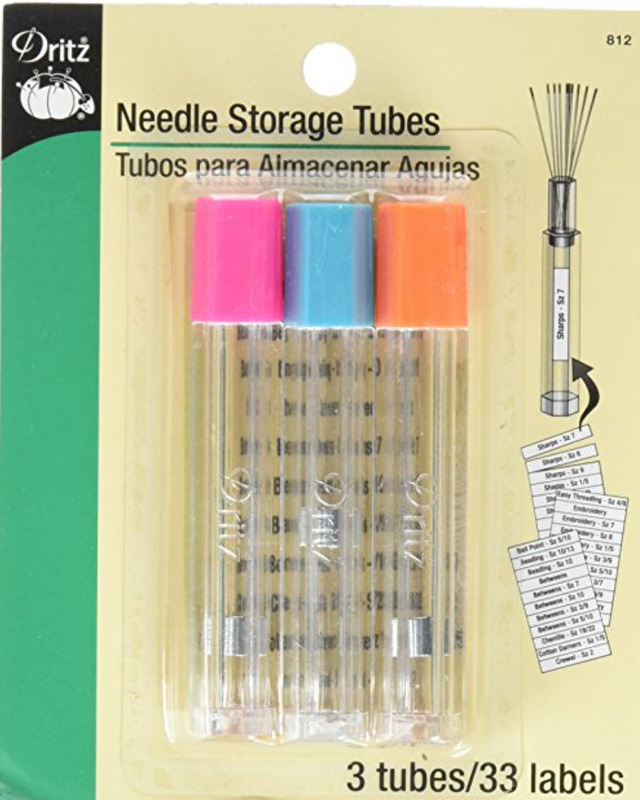 It's now easy to pick out a needle from the opened tube. Next I'll purchase one of those acrylic lipstick organizers and stand up the Dritz needle tubes in each slot. The tubes are slim enough to fit nicely. I'm going to look out for these. I have a needlebook that I use to keep track of the different pointed needles, but all my round tip needles are on magnets and I keep loosing track of them. This would be great to keep them organized.